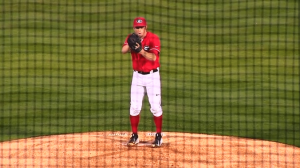 ATHENS — Georgia baseball returns home this week after an away series against the University of Alabama. The Bulldogs lost the series against the Crimson Tide winning only one out of the three games they played this weekend. Friday night’s game went into extra innings, but Alabama edged Georgia by one run on a run-scoring single in the bottom of the eleventh. Georgia won Saturday’s game 8-1, then dropped Sunday’s game 5-2 making the team 1-5 in the Southeastern Conference this season. The Bulldogs will have another shot at in-state rival Georgia Tech tomorrow night when the team travels to Atlanta to face the Yellow Jackets on the road. Georgia lost the last game against Tech 13-6, but the team will rely on pitching and defense to make the most of its next opportunity.